Recently, I was asked like why do we have a web application? What's the use of it? After listening to my answer I was questioned on the same as why can't we do the same for a site collection directly? Instead of creating a web application we can create a site collection itself with the same settings and all. At last, I convinced the questioner that there would be performance and security issues. But I want to know the exact reason why it can't be. I would be grateful if anyone can help me get a better answer. In this case, Every site collection will require an Application Pool to be created !! So what's the issue, What's this mean? You will be restricted to create maximum 10 site collection per the web server based on its hardware capabilities. A single highly active application pool can utilize 10 GB or more, so More application pools will lead to a Performance Issue. 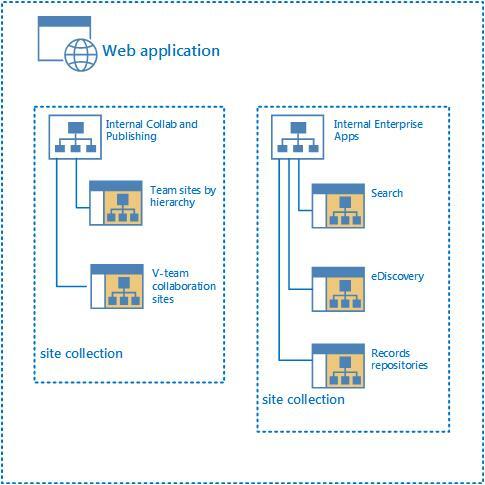 Do you need to create 250000 site collection per one web application with the current SharePoint Structure and architecture? Or you need to be limited to the memory allocation of your web server that allows to you to create 10 site collection based on hardware capabilities at the same time you will face a Performance issue!! Compare SharePoint 2016 Application Pool limits with other SharePoint versions. Not the answer you're looking for? Browse other questions tagged sharepoint-server site-collection web-application sharepoint-on-prem or ask your own question. How to detect when user goes from one site collection to another in the same web application? How do I properly create & configure a second web application & site collection on the same server?